MOST POTENT GRAVIOLA/SOURSOP ON THE MARKET! Graviola Max is the result of a unique research and blended to the original Raintree formula to create a stronger and more potent product than the regular Graviola supplement. Raintree Graviola Max contains a specialized blend of two species of Graviola - Annona muricata and Annona montana, or mountain Graviola. This potent blend was carefully chosen to deliver nearly four times the acetogenic properties than other popular herbs, such as paw paw. 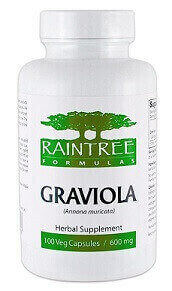 Raintree Graviola Max is renowned snd reviewed as the best Graviola supplement available. Graviola is often considered one of the greatest gifts of the Amazon Rainforest. Raintree Graviola is rich in the beneficial phytochecmicals that this herb is know for, including a group of Annonaceous acetogenins, which are found only in the Annonaceae plant family. Mountain graviola has been found to contain the main annonacin chemical of graviola with 26 more acetogenin chemicals not found in regular Graviola. Graviola is traditionally used in many types of auto-immune disorders, nervous disorders, stress, depression, high blood pressure and bacterial and fungal infections. The Raintree Graviola Max formula is free of fillers, binders, flow agents and chemicals to provide you with these potent herbs in their purest and most effective form. Graviola is the fruit of an evergreen tree that is common to tropical countries such as Mexico, Cuba, Central America, the Caribbean, South America and other countries in Southeast Asia. 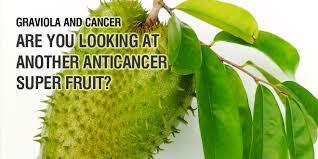 It is also widely known by the common name Soursop. This flowering tree is well represented by its broad leaves and citrus sour fruit which is harvested both for its underlying creamy flavor and special herbal properties. Graviola Max is the result of thorough research and contains a specialized blend of two species of Graviola: Annona muricata and Annona montana. 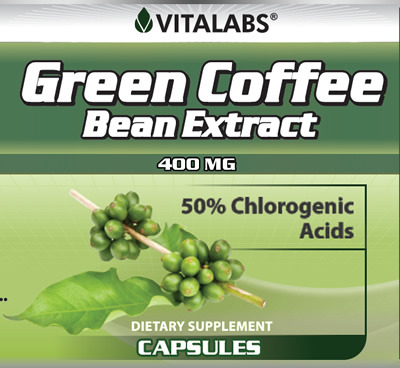 This blend was selected to deliver almost 4x the acetogenic properties than other herbs like paw paw, and it is a more potent supplement than the regular Graviola capsules. 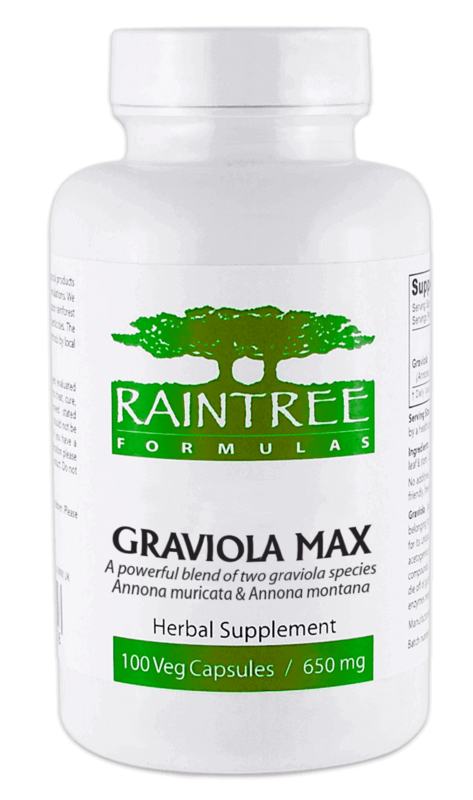 Raintree’s Graviola Max is reviewed as the best Graviola supplement available on the market. Graviola is often considered one of the Rainforest’s greatest gifts and it is rich in beneficial phytochemicals, including a group of Annonaceous acetogenins found only in this plant family. The mountain graviola included in this Graviola Max formula has been found to contain 26 additional acetogenin chemicals not found in Graviola for additional potency. These capsules have been researched, produced and distributed by Raintree Nutrition Inc. for over a decade. However, this company has closed down. A new company by the name of Raintree Formulas has now paved the way to making these supplements available in the most sustainable way. Whereas larger commercial pharmaceutical companies disregard the hazards and potential dangers of utilizing natural sources to no end in order to profit, Raintree Formulas stays true to the conscientious and utilitarian principles of sustainability. Simply put, Raintree Formulas can now cater to the demands without compromising future needs of the coming generations. Like all Raintree Formulas products, Graviola Max is free of flow agents, binders and fillers to give you a product as pure and potent as possible. This supplement uses on the stem and leaf of the Graviola to eliminate any concern over use of the tree’s seeds. * Graviola has demonstrated antitumorous and anticancerous properties. This does not mean Graviola can cure or treat cancer, only that these properties have been demonstrated in a laboratory setting. Scientists have studied the active compounds in Graviola since the 40′s, with most research focused on the unique set of chemicals known as Annonaceous acetogenins. Graviola produces these chemicals in its seeds, bark, stem and leaves and three separate research teams have confirmed these chemicals have strong antitumorous properties and are selectively toxic against several types of cancer cells without harming healthy cells. In a research study done by Hamizah, S, et.al. from the Universiti Putra Malaysia, Graviola Max has been found to contain a new anti-tumor agent based on in vitro studies. A few of these active agents come from the phytochemicals found in a group of Annonaceous acetogenins of which graviola max comes from. 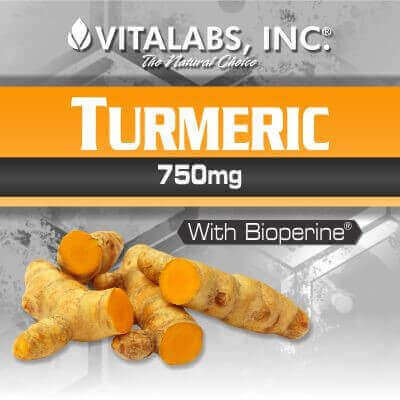 The results of the study showed that the extracts form this plant suppressed the growth of tumor initiation and promotion even at a lower dosage. However, studies on the acetogenins found in graviola have been around for decades. Scientists discovered that the acetogenic properties of graviola max enables attack on rapidly-growing cells only and risks no harm to surrounding healthy cells. This is in contrast to mainstream cancer therapies such as chemotherapy and radiation. Aside from its promising results against cancer, graviola max has also been found to kill bacteria and parasites, thus making it effective in expelling worms. It is an anti-infective vasodilator, sedative, anti-depressant, anti-pyretic, and anti-convulsant. Various parts of the trees are utilized, but its leaves are the most used source of the active acetogenins. Cautions: Do not take Raintree Graviola Max if you are pregnant or breastfeeding. Individuals with low blood pressure should monitor their condition and consult a physician prior to use. Those with diabetes and hypoglycemia should monitor blood sugar levels while taking Graviola Max.